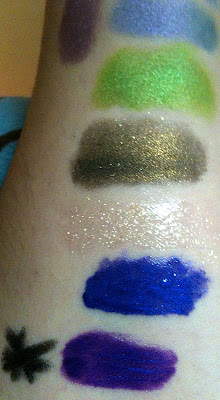 These upcoming swatches are from my latest Venomous Cosmetics order. It includes a mismash of the Fear collection (from Halloween- no longer available), the Shifty collection (a lip poison subtle coloured collection up now), and the They All Believed in Dragons collection (also up now and really awesome!) 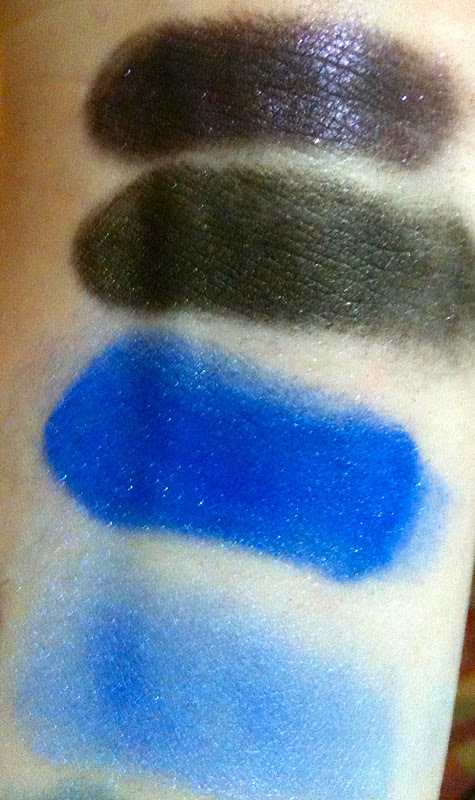 I've also got a comparison swatch between a previous lip poison (Wicked Witch) from the Fairy Tale collection and the currently available Drowning lip poison. For reference here is which shades below belong to which collection. 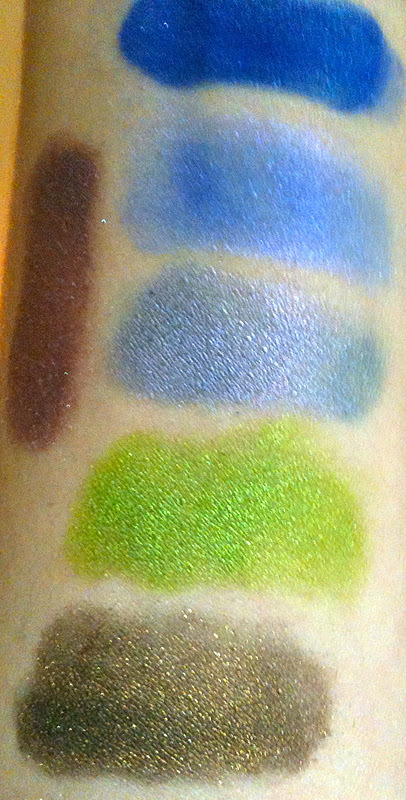 Fear Collection: Paranormal loose eyeshadow, Nightmare loose eyeshadow, Apocalypse pressed eyeshadow, Claustrophobic pressed shadow, Curse of the Werewolf loose eyeshadow, and Drowning lip poison. Of these shades my favourites have to be Paranormal (it has the most amazing shimmer in real life and it's so pigmented! 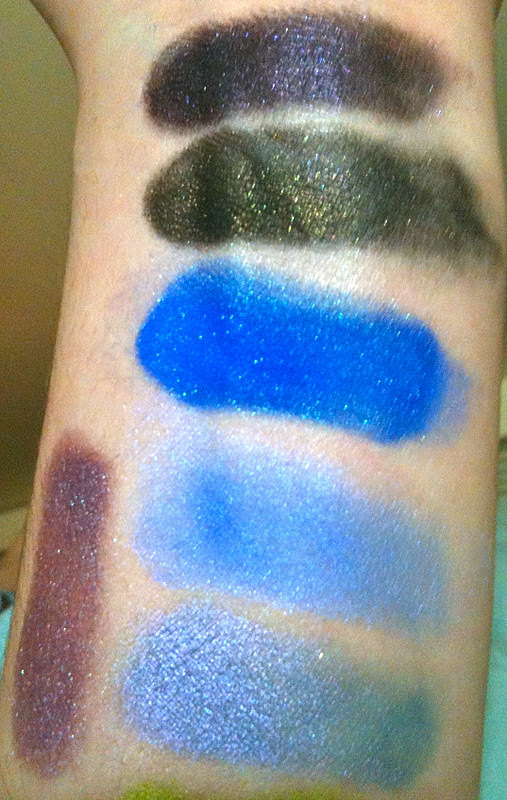 ), Curse of the Werewolf (lovely rich bronze with gold shimmer), Apocalypse (which also has a neat sheen, it goes from periwinkle to light blue-based grey) and Venom which is gold shimmer in a clear base and pretty much goes with everything! Note! There is a Venomous Cosmetics weekend sale going on with certain shades offered at $4. Worth taking a look. Have a good day! These are lovely just got some of the shifty glosses myself and having a major headache over trying to photograph them! !